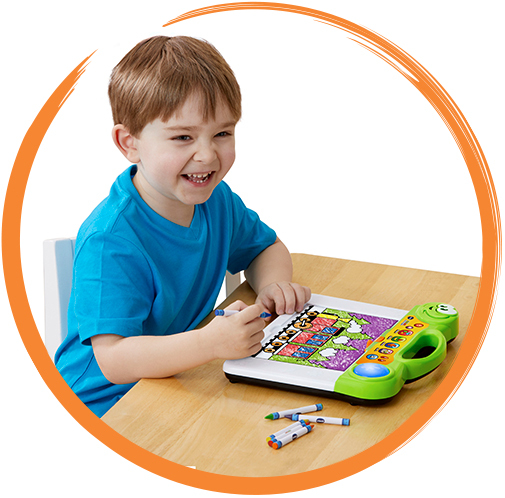 The light-up board identifies each of the 50 included coloring pages and responds with color suggestions for each section. 50 coloring pages and 10 blank papers included. Click here to download additional, free coloring pages. 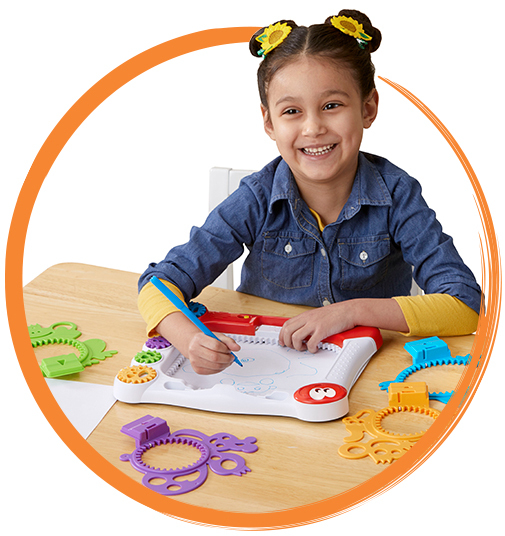 Mix and match four animal stencils with five colorful gears to create unique works of art. 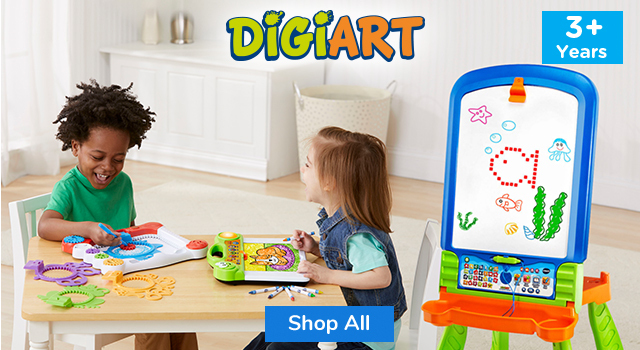 Dry-erase board, chalkboard or drawing table, the choice is yours! 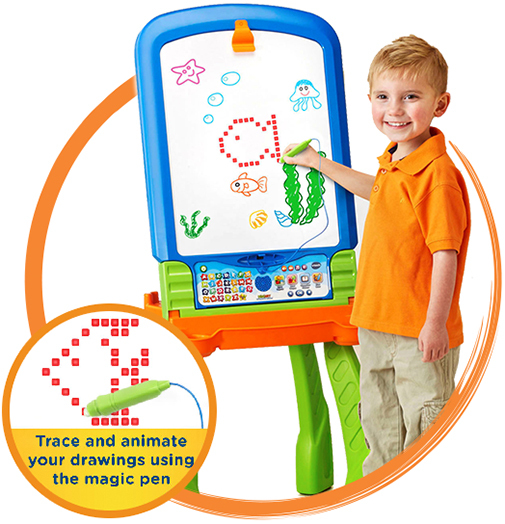 Learn to draw more than 150 shapes, letters, numbers and more by following the lights using the magic pen.